So, how did Sporting do in the transfer market this summer? Here’s a look. First, we’ll start with the departures before the far more exciting stuff of arrivals. André Carrillo to Benfica (Free) – Enough has been said of this transfer already. Héldon Ramos to Rio Ave (Loan) – Another loan move for Cape Verdean and once again at Rio Ave. The forward doesn’t seem to feature in Jorge Jesus’ plans so it is only a matter of time before his permanent departure. Mica Pinto to Belenenses (Free) – Mica Pinto was progressing well in the youth system and B teams but he suffered some major injuries which has hurt his development. Hopefully he can get back to his potential at Belenenses. Luís Ribeiro to Estoril (Free) – Another player who had plenty of games for the B team but didn’t quite make the grade. Currently has José Moreira and Thierry Graça to beat in the pecking line up. André Geraldes to Vitória de Setúbal (Loan) – Loan moves to Vitória de Setúbal seem to be a good thing for a lot of Sporting players lately, like João Mário and Rúben Semedo. Geraldes is 25-years old now so he really needs to impress if he wants to break into the Sporting first team. Tobias Figueiredo to Nacional (Loan) – Tobias was on the fringes of the first team, with the arrival of Sebastián Coates making it difficult for him to get game time. A full season loan at Primeira Liga side should do that and so far he has scored against Benfica for the Madeira side, so that’s a good start. 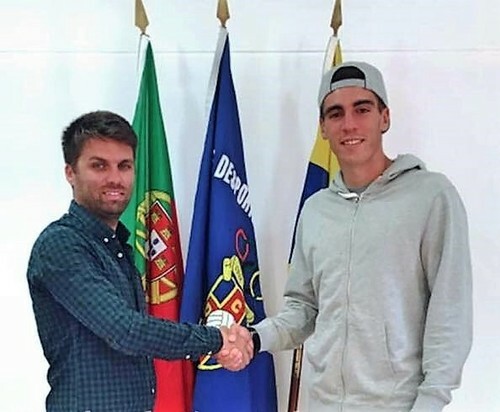 Francisco Sousa to Gondomar (Free) – Featured for the U19s last season but not deemed good enough to be promoted to the B team so he leaves for Gondomar. Jorge Silva to Leixões (Free) – Returns to his former club after failing to make the grade with the B team. Seejou King to Aves (Free) – Had a really bad injury last season but Seejou King is another one who did well for the B team but couldn’t find their way into the senior side. Has yet to make his debut for the club. Miguel Lopes to Akhisar (Loan) – Miguel Lopes is still a victim of his own high wage demands, another ghost of the Godinho Lopes regime. He joins a large Portuguese speaking contingent at Akhisar in Turkey. 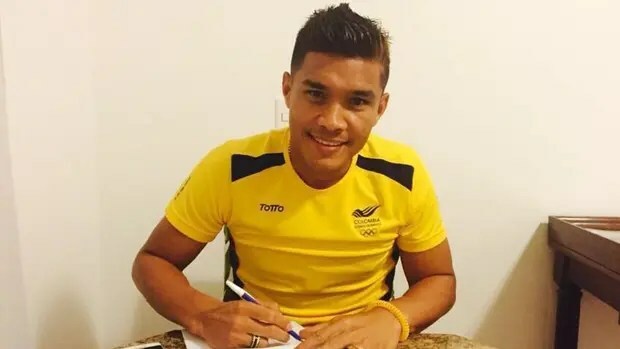 Rafael Barbosa to União da Madeira (Loan) – Although the B team could use his services so far this season, Barbosa has been given a loan to União to improve his game. The 20-year old featured regularly last season and has so far played 6 times for União. Zhang Lingfeng to Torreense (Free) – The Chinese midfielder didn’t make the grade for the club at youth level so has been given a new lease of life at Torreense. Domingos Duarte to Belenenses (Loan) – Has played in all 3 of Belenenses’ opening games so far. The young central defender has been improving massively in the last year so can hopefully evolve to the next level in Belém. Filipe Chaby to Sporting da Covilhã (Loan) – Chaby was an excellent prospect at youth levels but a few injuries have stalled his development. At 22-years old now it’s important that the midfielder impresses for Covilhã this season. Cristian Ponde to Sporting da Covilhã (Loan) – Much like Chaby, this is Cristian Ponde’s season to try and shine. This is the forward’s first loan move away from the club and scored his first goal for Covilhã against Portimonense last weekend. Oriol Rosell to Belenenses (Loan) – Rosell didn’t get as much game time at Vitória de Guimarães last season as was expected or needed. It seems Jorge Jesus isn’t a fan of the Spanish midfielder so this may be more a shop window loan for him. Simeon Slavchev to Lechia Gdansk (Loan) – The Bulgarian midfielder arrived at Sporting a few years ago with a good reputation in his native Bulgaria. Slavchev has yet to convince though so he goes on another excursion, this time to Poland. Hadi Sacko to Leeds United (Loan) – The French forward scored the winning goal on his Championship debut against Birmingham City. It is unlikely that he will return to Sporting after his loan season though. Ousmane Dramé to Moreirense (Free) – The French forward was given a new lease of life in Portugal after his career in Italy floundered. He will be remembered for his one game and one amazing goal in the first team. Zezinho to Levadiakos (Free) – The Guinea-Bissau international looked good for the first team when Jesualdo Ferreira first brought him in back in 2012, but the midfielder fell just short of the required ability for the first team. Ryan Gauld to Vitória de Setúbal (Loan) – Another player who will hopefully make a large amount of progress at Setúbal. This is the Scottish midfielder’s first taste of Primeira Liga football so hopefully he can progress and fulfil his massive potential. Francisco Geraldes to Moreirense (Loan) – A player who has already had a great start to life at Moreirense. When the rumours of Adrien Silva possibly moving to Leicester City, there were many calls for Geraldes to be called from loan to fulfil his role. Geraldes looks set to have an outstanding season and will hopefully return ready for the first team next season. Aya Diouf to Sertanense (Loan) – The Senegalese defender only joined Sporting’s academy a few years ago and will move on loan to Sertanense before being given a B team shot. Guilherme Oliveira to Cova da Piedade (Loan) – The young goalkeeper has plenty of competition at the club with Pedro Silva, Vladimir Stojković and Luís Maximiano currently the favoured choices. The 21-year old desperately needs regular gam time. Teófilo Gutiérrez to Rosario Central (Loan, €1,200,000 fee) – Just when Teó was getting good he decided he wanted to return to Argentina. The move was a prolonged affair with the Colombian preferring River Plate as his destination. Although this is a loan move I wouldn’t expect to see Gutiérrez in a Sporting shirt again. Kikas to Leixões (Free) – Kikas certainly can’t be faulted for his loyalty to the club and it’s only a shame he couldn’t break into the first team. Hopefully goes on to have a great career. André Martins to Olympiakos (Free) – Despite his promise, André Martins couldn’t make his way into the team with the arrival of Jorge Jesus. Now he joins Paulo Bento in Greece and another player who hopefully finds his way back into prominence. João Palhinha to Belenenses (Loan) – João Palhinha looked awfully close to getting into the first team this season but just fell short despite featuring a lot in pre-season. Hopefully improves ready to take his spot next season. 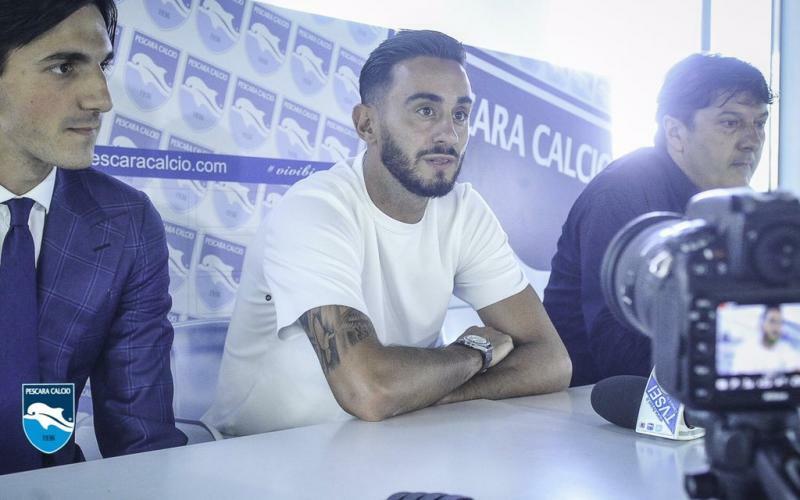 Alberto Aquilani to Pescara (Free) – After being stupidly sent off in a humiliating pre-season friendly, that probably sealed the departure of Aquilani. The Italian midfielder looked classy whenever he played but was not going to break into the first team last season and it seems even with the departure of João Mário was not a part of Jesus’ plans and departs. Naldo to Krasnodar (€4,500,000) – Bought for €3m and sold for €4.5m, isn’t a bad piece of business from Bruno de Carvalho. Initially the Brazilian looked solid alongside Paulo Oliveira in defence but with the arrival of Sebastián Coates and the emergence of Rúben Semedo he found games hard to come by. Hernán Barcos to Vélez Sarsfield (Loan) – Barcos didn’t impress at all in his stint, joining as part of the transfer of Fredy Montero out to China last season, he didn’t come close to the Colombian’s talent. Although his departure is a loan he is unlikely to return to the club. João Mário to Internazionale (€40,000,000) – What can we say about João Mário? On the pitch and off the pitch the creative midfielder was a class act. 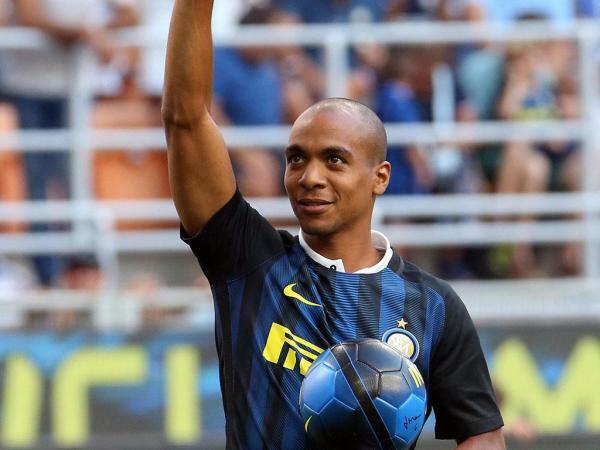 There’s been plenty written about this so I don’t need to expand too much but hopefully João Mário excel at Inter and returns to the club one day in the future. The transfer fee, of course, is a record sale by Sporting and credit must go to Bruno de Carvalho for the negotiations. Jonathan Silva to Boca Juniors (Loan) – The left-back has had his loan move to Boca Juniors extended after impressing there. With Jefferson seemingly not favoured by Jorge Jesus and Bruno César and Marvin Zeegelaar as the alternatives there’s certainly a spot for the Argentinian in the squad next season. Ewerton to Kaiserslautern (Loan) – The Brazilian central defender was similar to Naldo in the sense that initially he looked solid but with other players emerging he fell down the pecking order. A move to the Bundesliga could be a good option for him and the German club have the option to buy the player at the end of the loan move. Iuri Medeiros to Boavista (Loan) – Medeiros again got very close to the first team but just fell short so he will go on another loan move. He impressed at Moreirense last season and at 22-years old now this should hopefully be his final loan move before breaking into the first team. 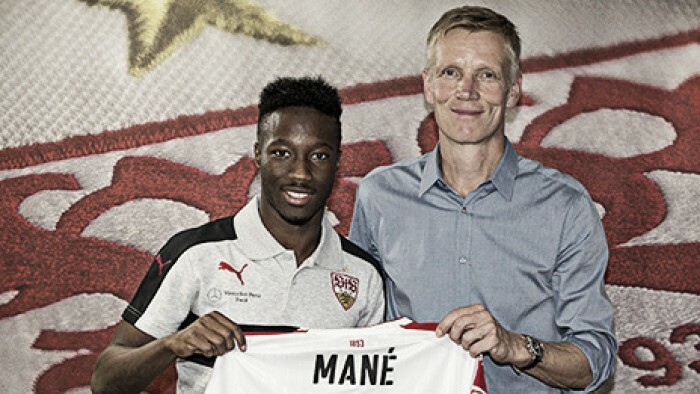 Carlos Mané to Stuttgart (Loan) – Held back by the emergence of Gelson Martins and, perhaps, the arrival of Jorge Jesus, Carlos Mané hasn’t quite made it yet. After being incredibly promising early on and popping up with goals it seems his future may lie elsewhere. Of course, after his 2 season loan spell at Stuttgart, Mané could return to the club better than ever. Daniel Podence to Moreirense (Loan) – Much like Iuri Medeiros, Daniel Podence was very close to making it into the first team this season. The diminutive and tricky attacker looked impressive in pre-season but recent transfers meant his first team appearances would be rare. With Sporting’s currently stacked list of young, tricky, quick attacking wingers extending to Matheus Pereira, Gelson Martins, Iuri Medeiros, Carlos Mané and Podence himself a loan move is the best option for him. Wallyson Mallmann to Standard Liège (Loan) – Again so close yet so far for Wallyson as far as being promoted to the first team goes. Another loan spell may well be his last if he doesn’t impress Jorge Jesus. Rúben Ribeiro to Aves (Free) – Some websites seem to have this transfer down as a loan but O Jogo claimed the player had rescinded his contract to join Aves on a 2-year deal. Indeed, a loan would probably have been better had he wanted to try and move up the ranks but it seems he’ll be going a different route. Salim CIssé to Olhanense (Free) – The Guinean forward initially looked very promising but he hasn’t developed as Sporting would have hoped so he could revive his career with Olhanense after rescinding his contract. Islam Slimani to Leicester City (€30,000,000) – Obrigado, Islam Slimani. Super Slim won everyone over with his passion, his late goals and his performances in the big games. Again, not much else is needed to be said about him as he was a firm favourite with the fans. Initially joining for €300,000 and leaving for 100x more, this will also be seen as the club’s best bit of transfer business to date. Hopefully goes on to have an excellent career and return in the future. Zakaria Labyad (Released) – What could have been with Zakaria Labyad. The Moroccan has the talent and the potential but he can’t seem to find it when it matters, he won’t be missed and was a relic of the Godinho era. Guilherme Oliveira has been loaned out to Cova da Piedade for the season. The 21-year old could make his debut for his new club against Benfica B this weekend. The move is a good one for the player, he has played just 4 times for Sporting B thus far. Goalkeeper Guilherme Oliveira is the latest youth team player to sign a new long-term contract with the club with a €45,000,000 buyout clause. Apologies, it’s been a while our last update, so we’ll review what has happened in a busy week for Sporting starting with last week’s controversial game away to Vitória de Setúbal. Referee Vasco Santos grabbed the headlines in a hugely controversial game. Islam Slimani and Adrien Silva were the goal-scorers for Sporting whilst Rafael Martins and Ricardo Horta scored for the home side. The result saw Porto get within 2 points of Sporting and Benfica pull 7 points clear. Expect a protest from Sporting fans in tomorrow’s game against Porto at the Alvalade. Before that Sporting B lost again, this time to AC Viseu. Wilson Manafá was sent off but Shikabala returned from injury with Vítor Silva and Iván Piris also making appearances. Fausto Lourenço 70th minute goal grabbed the victory for the home side. K.A.A. Gent announced that they have agreed to sign Sporting’s on-loan midfielder Renato Neto at the end of the season. Renato Neto joined Sporting in 2007 and graduated through the academy ranks. In better news Sporting announced that 18-year old forward Gelson Martins had signed a new deal with the club. As with many previous deals, this is long term (until 2019) with a minimum release clause of €45m. There was more good news for Gelson Martins when he was again picked in the Portugal U-19 squad along side teammates João Palhinha, Domingos Duarte, Rúben Ribeiro, Francisco Geraldes and Guilherme Oliveira. And if that wasn’t enough for Martins he scored for the Sporting youth team as they beat Benfica 2-1 in the Juniores A 2ª Fase Apuramento Campeão. Domingos Duarte was sent off before Pedro Rebocho equalised for Benfica. Brazilian forward Matheus Pereira got the win for 10-man Sporting though in 74th minute. And finally we look forward to tomorrow’s big game at the Alvalade against Luís Castro’s Porto. Maurício picked up another yellow card in the Setúbal game and will miss this match meaning Eric Dier is likely to start alongside Marcos Rojo in defence. Elsewhere Carlos Mané returns from the injury he picked up in international duty that put him out of the last game. With Portugal U19 and U18 games coming it is no surprise that there are plenty of Sporting players involved. Hélio Sousa has chosen Cristian Ponde, Daniel Podence, Domingos Duarte, Gelson Martins, Guilherme Oliveira, João Palhinha and Mauro Riquicho for his U19 team. The U19s will be playing in a brief tournament in La Manga, Spain. The biggest news there is of course the William Carvalho is called up to Paulo Bento’s national team for the first time. The midfielder had previously been on a provisional list but now has the opportunity to make his full debut for the senior side. Elsewhere Adrien Silva, André Martins and Cédric Soares are overlooked by Bento. With the international break once again fast approaching it is no surprise to see several Sporting players representing Portugal. Paul Bento gives Cédric Soares the recognition he deserves for his fantastic improvements this season and, of course, his late winner against Braga wouldn’t have harmed his chances either. Rui Patrício, of course, is in the squad and André Martins regains his place. William Carvalho and Adrien Silva had both been in the preliminary squad but didn’t make it to the final list. William however did make it to the U-21 list. Betinho has had his injury problems as of late so it is somewhat of a surprise to see him feature before he has even returned to B team action. No surprises in any of the other selections. Rui Jorge’s selection also includes two former Sporting players. Hélio Sousa hasn’t chosen many Sporting players which is rather surprising considering the immense quality he did have to chose from.